On January 28th in London, VistaJet invited selected guests to help celebrate its tenth anniversary at a posh affair in Mayfair. When Thomas Flohr founded VistaJet in 2004 he was determined to redefine private aviation. He wanted to start a revolution in the skies that would offer clients unrivalled choice, luxury, a simple business model and, of course, safety. Today, VistaJet is the world’s fastest growing private aviation company with a fleet of Bombardier aircraft based across Europe, the Middle East, Asia, and West Africa and a multilingual staff based in offices across the globe. Thomas and his team are always looking at innovative new ways to develop VistaJet and give their customers the very best in private aviation with a choice of ‘Your Program’ or ‘Your on Demand options’. 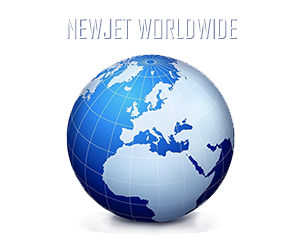 Everything is kept simple and straightforward, so customers never waste any time whenever they want to fly to anywhere in the world, whether it’s London, Moscow, Beijing, Abu Dhabi or Abuja.